Baked yams or candied yams are usually reserved for our favorite holiday or family gathering. While candied yams are especially delicious, the added brown sugar can often do a number on our diets, waistlines, and overall health. When you are craving the candied yams we have always enjoyed on Thanksgiving or Christmas, you can rest assured that there is a recipe out there that will provide the same great (and possibly better) flavor we desire without adding extra pounds to the scale. This baked honey yams recipe is great for any time of year and is healthy enough to be enjoyed on a weeknight instead of just during the holiday season or special occasion. Replacing the brown sugar of candied yams with honey and adding some extra flavor with the limes juice, it is possible to quell the craving for a decadent side dish by having something that is much healthier. Next time you’re missing that holiday spread, try this baked honey yams recipe – you won’t be disappointed! 1. Prepare and preheat the oven to 350 degrees. 2. Wash yams, making sure to remove any eyes and all dirt from the surface. 3. Fill a baking dish with ½ cup of water. 4. Place yams into the baking dish and place in the oven. 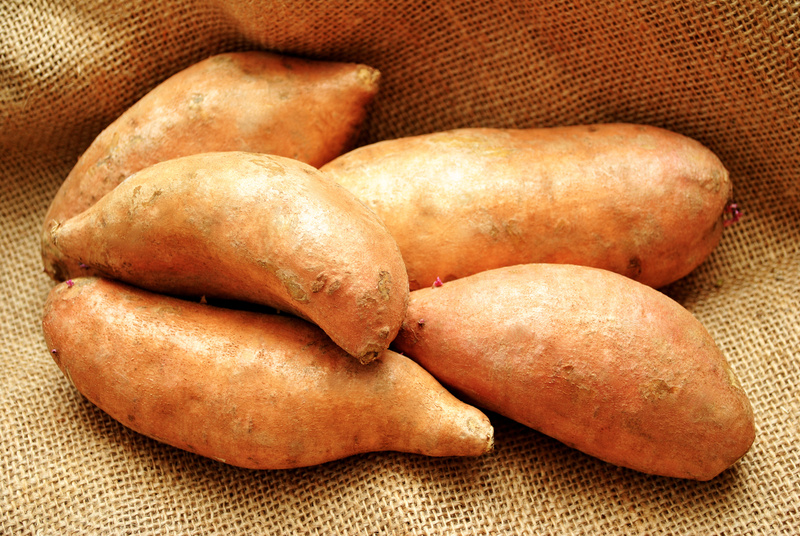 Bake yams for 1 ½ to 2 hours until they are soft all the way through when tested with a fork. Yam skins should be puffy. 5. When cooked through, remove yams from the oven but leave the oven on. Set yams aside and allow to cool. 6. When yams are cool to the touch, peel the yams and place them in a separate, medium sized baking dish. 7. Add lime juice, honey, unsalted butter, salt and pepper to the baking dish. Mash the yams and ingredients together with a potato masher until they are a smooth consistency. 8. Cover the baking dish with aluminum foil and place in the oven. 9. Cook for 15 to 20 minutes until the mashed yams are heated through. 10. Remove from the oven and allow to cool. 11. Serve alongside your favorite main dish and enjoy! If you would like to order some Manuka honey to enjoy this recipe, click here.